Are you more of a Bruce Parry than a Bruce Forsyth? Do you prefer to spend your holidays clinging to an overhanging cliff face rather than clinging to the bar after one too many sangrias? Do you prefer to pitch your tent in the middle of an Arctic storm rather than sleeping in a 4* hotel room? – Coldproof: Perfect for skiing or snowboarding as it can stand temperatures as low as minus 10°C. – Waterproof: Not just from the rain either, you can use this camera to take images and videos up to 5m deep. -Dustproof: Not just great for dirty houses, this will also come in handy on desert safari. -Shockproof – Drop this baby from a metre and it won’t feel a thing. Drop it from higher than that and who knows? It’s only shockproof from a metre so don’t push your luck. It’s not only a durable little blighter, it’s also got the spec that an ardent traveller is going to need to get good shots. 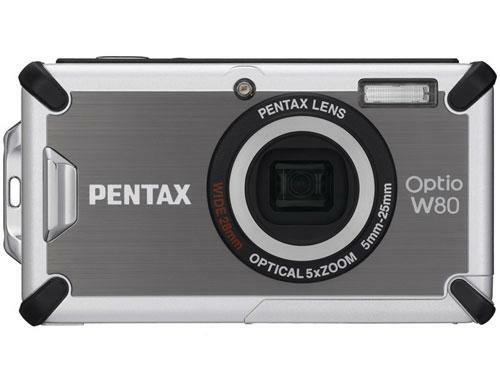 For starters it’s 12.1-megapixels with a 5x optical zoom. It can also capture video in HD with a widescreen resolution of 1280×720 at 30fps. The 2.5-inch LCD screen will display crystal clear images even in bright sunlight and there’s also built in face detection for up to 32 faces with smile capture and blink detection. This camera looks very impressive. I want one already. I want one even more now I know that it comes in three colours including Gunmetal Grey. Gunmetal Grey sounds like the hardest colour ever. Can colours be hard? I bet Gunmetal Grey could kick any other colour’s arse. It’s out in July in the States for $300, expect a UK release not long after with a price between £200 and £250.